In recent years MegaMillions has played the role of bridesmaid to Powerball’s bride, never quite managing to take centre stage. However, recent rule changes have been implemented to allow MegaMillions the opportunity to take back the crown as the record-holder for the biggest ever jackpot payout. Right now the MegaMillions jackpot of £134 million* is the biggest of all-time - and it could get even bigger!MegaMillions very nearly took back the top spot when its jackpot rose to an enormous $1.537 billion (£1.19 billion) but Powerball hangs onto its record for now. The current MegaMillions is already going into the history books as the biggest MegaMillions jackpot of all time. The jackpot currently stands at £134 million and if recent history is anything to go by we can expect it to keep on rising. The lotto that we know as MegaMillions began life as ‘The Big Game’ back in 1996. 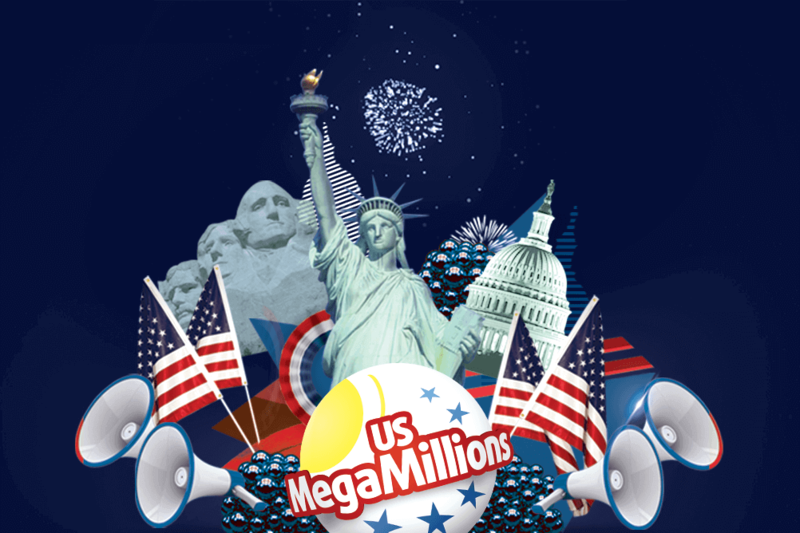 Becoming MegaMillions in 2002 it was initially available in 6 US states, up to 44 states today. And of course, thanks to Lottoland you can bet on the MegaMillions lotto from the UK as well. The format of the Mega Millions lotto is pretty easy to understand. Simply select five numbers from between 1 and 70, and one more ‘Megaball’ number from between 1 and 25. If all five regular numbers and the Megaball match those drawn on Tuesday and Fridays in Atlanta (about 4am Wed/Saturday Irish time) then you take home the enormous top prize. Besides that massive jackpot prize, there are eight further prize tiers offering further chances to win. 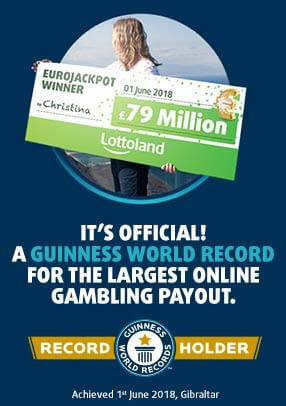 At Lottoland you can bet online in seconds. Just go to the MegaMillions home page, select your numbers and click the Place Bet button. Plus, if you want to check the Participation box you will automatically place a bet on all draws that have jackpots higher than the amount you select. Our unique insurance model means that we can pay out the largest jackpot betting wins, even on record-breaking MegaMillions jackpots! The previous record for the MegaMillions lotto stood at $656 million (with a cash value of $462 million) and held that record since 2012. Now the current MegaMillions jackpot stands at £134 million, and you can bet on the MegaMillions lottery from the UK with Lottoland. The largest lottery jackpot of all time is still the incredible $1.586 billion (€1.37B) from Powerball in January 2016. The second highest jackpot was also held by Powerball until now, until that MegaMillions jackpot of $1.537 billion which was also the largest win by a single ticket-holder. If you want to be a record-breaker yourself then head over to Lottoland’s MegaMillions page to have a bet on this monster jackpot. With a jackpot this big, you just have to bet! *Important: MegaMillions tiers 1 - 3 are subject to 38% reduction as per T&C's. Tier 1 bets are paid out as a 30 year annuity or discounted lump sum at Lottoland's election.